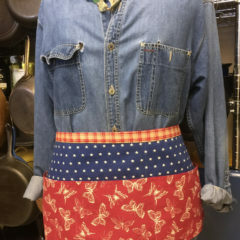 Butterflies and Stars Waitress style apron. 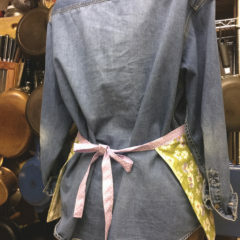 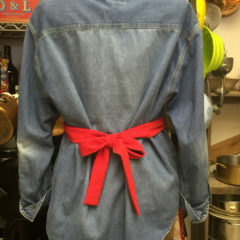 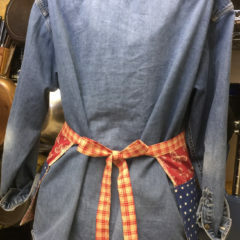 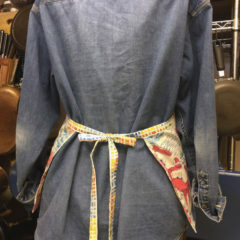 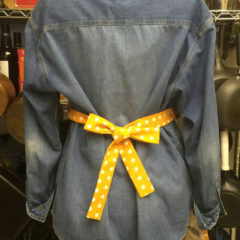 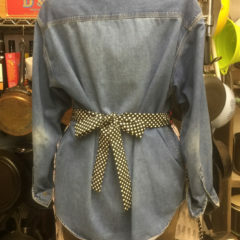 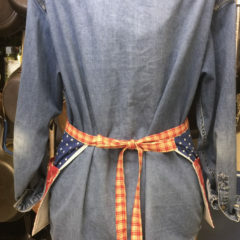 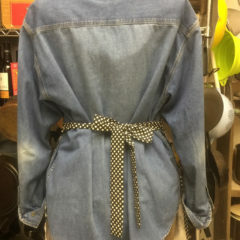 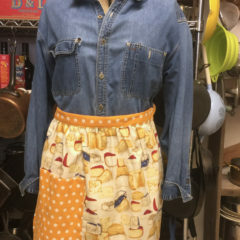 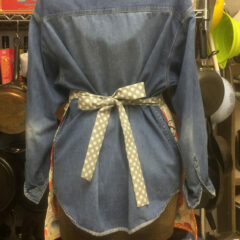 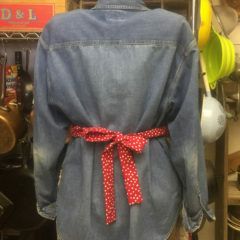 Half style apron with cheese and polka dots. 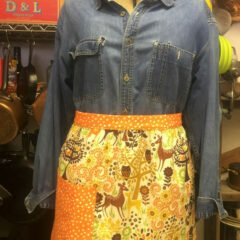 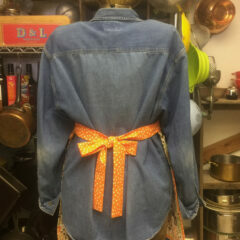 Half style apron with deer, trees and orange polka dots. 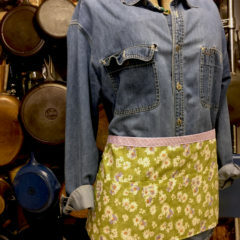 Half style apron with Little Frenchmen, kisses, and black with white polka dot ties and pocket. 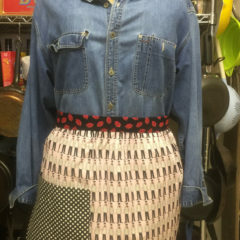 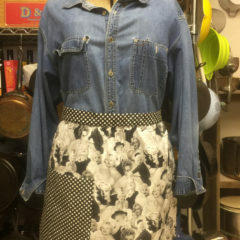 Half style apron with Marilyn Monroe, black with white polka dot ties and pocket. 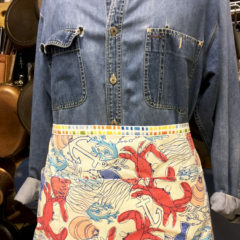 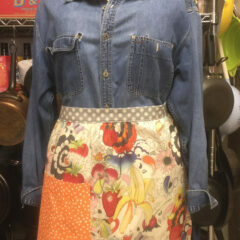 Half style apron with Psychedelic Fruit, gray with white polka dot ties, and orange polka dot pocket. 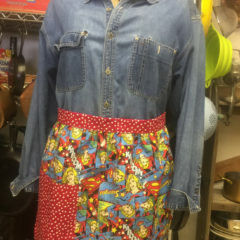 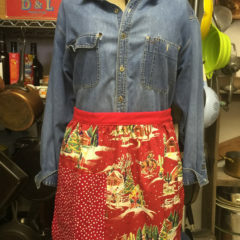 Superwoman half apron, with red polka dots. 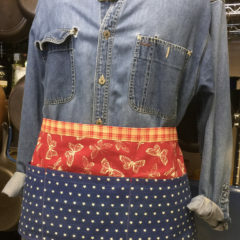 Stars and Butterflies Waitress style apron.